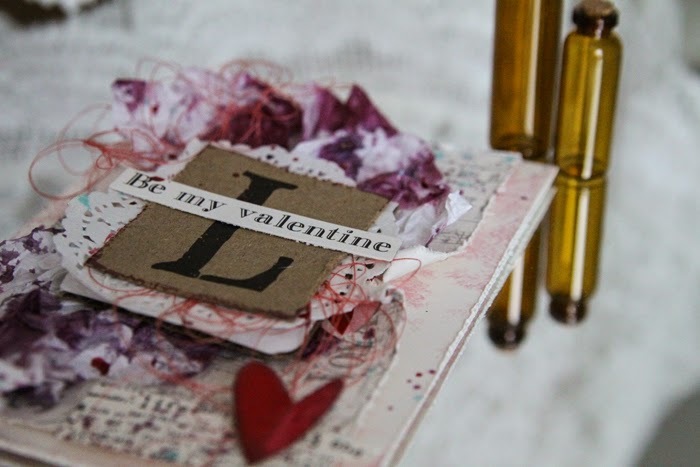 Do you send cards to your friends and family for Valentines Day? Or exchange gifts? Well, a handmade card can never be wrong, right? 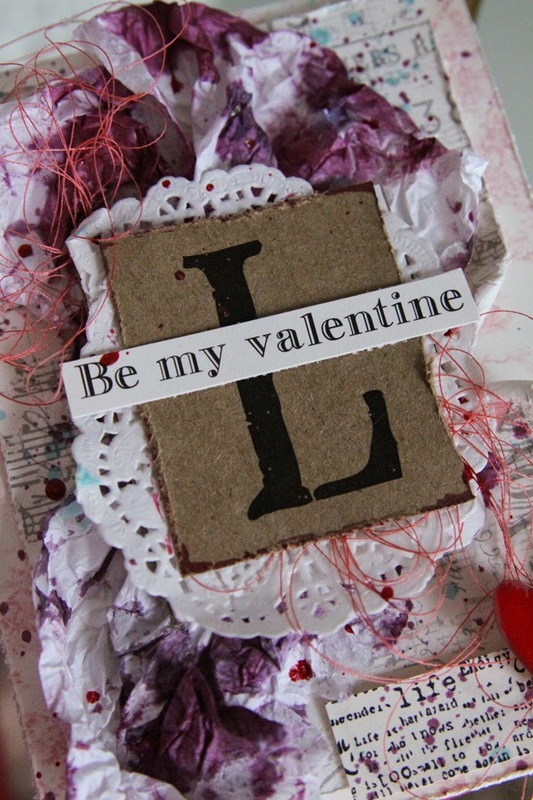 This layered and romantic card will find it´s way to a loved person this year. It was made using loving papers from Canvas Corp together with Glimmer Mists and teamed embellishments. The card base was made with the Pink & Ivory Toile Paper. The first layer from the Paris Hearts Paper. To create a dept to the card white tissue paper was wrinkled and then sprayed with Glimmer Mist in the color Black Cherry. A good idea to create a high card is to use a pice of cardboard (from a box or a cerial package). The doily and the Black on Kraft Monogram “L” was glued to a piece of cardboard like that. The sentence comes from the Sending Love Words Paper. The little heart was cut out from the Paris Hearts Paper, folded and then painted with Glimmer Glaze (Paradise Pink). 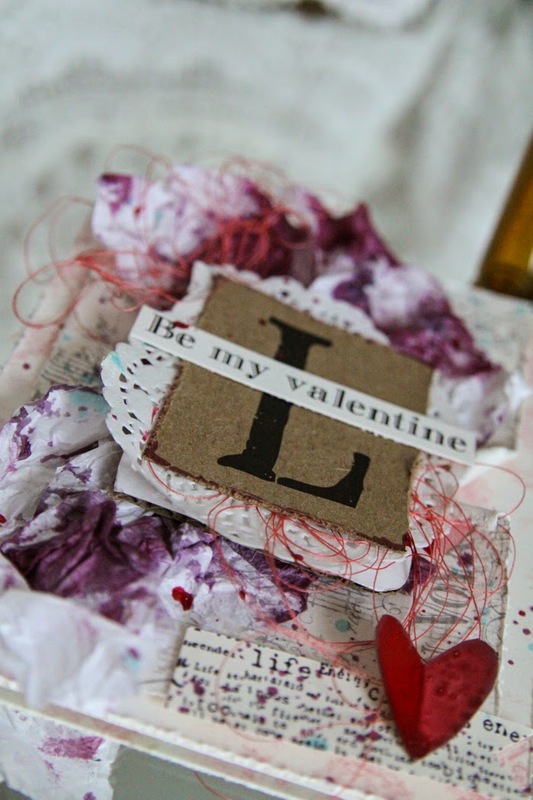 The little tag underneath the heart was stamped with a 7 Gypsies Wood Stamp. 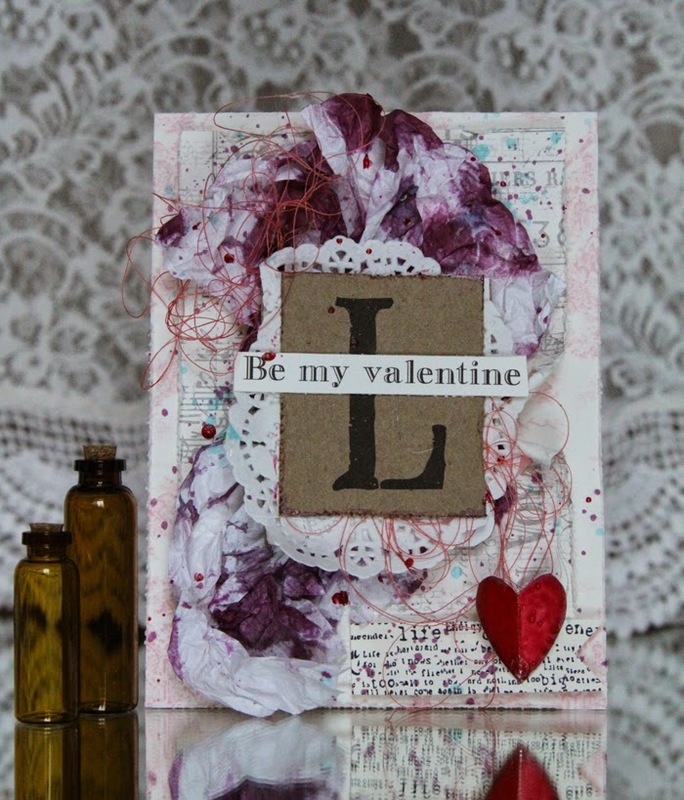 The card was finished off with splatters of two colors of Glimmer Mist. Hopefully this will get your creativity spinning! Thanks for stopping by today!